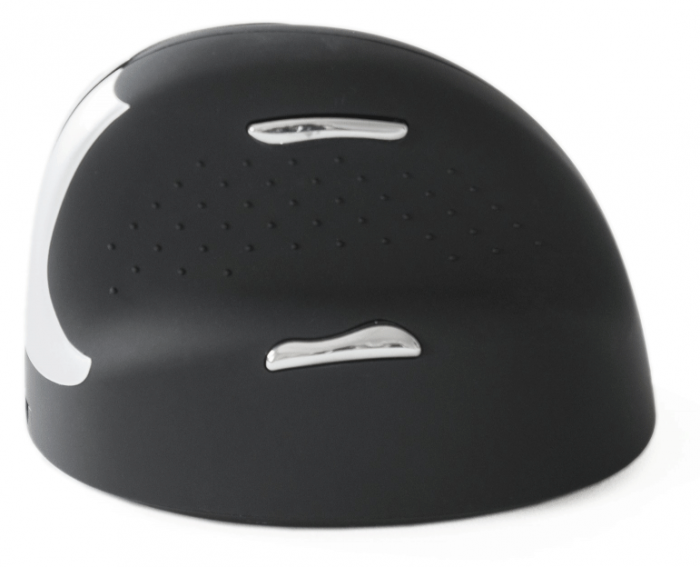 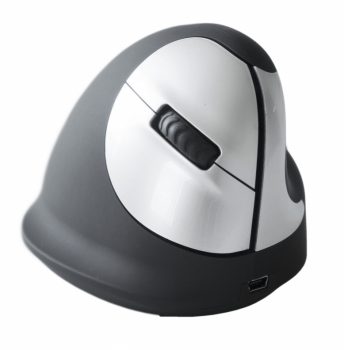 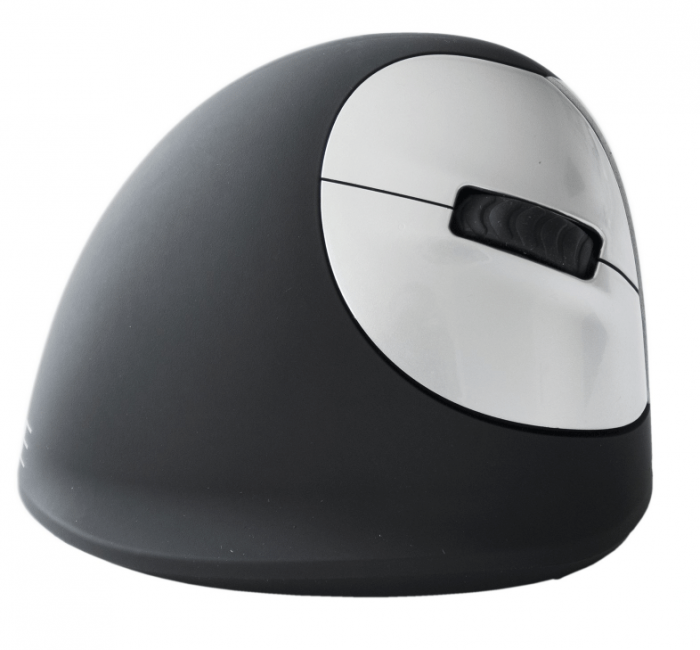 Standard RF Wireless HE Mouse offers a vertical grip which provides a neutral, relaxed position of the hand and wrist. 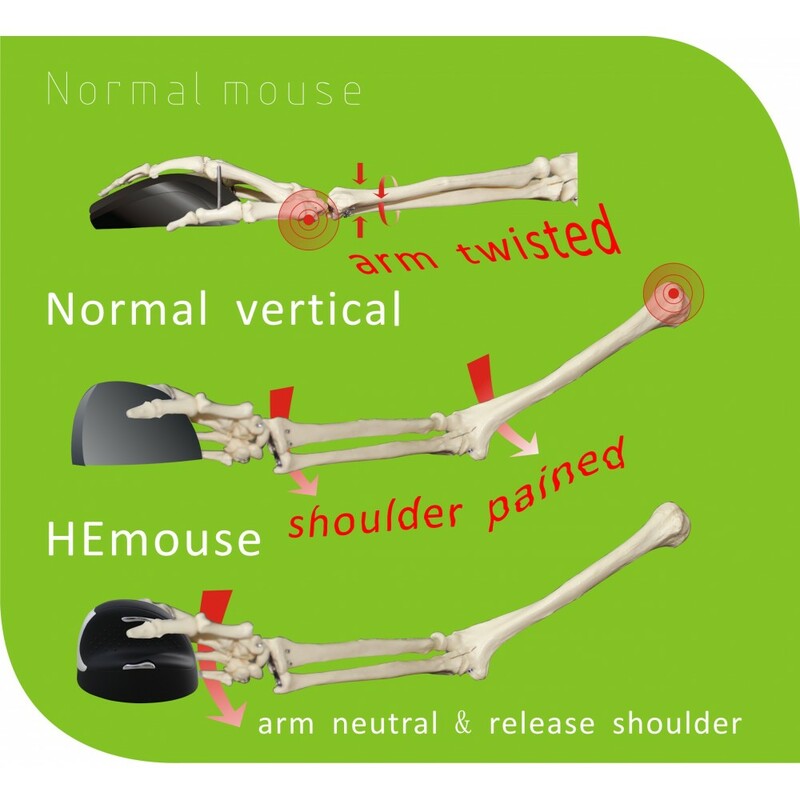 You move from the forearm instead of your wrist, which assists in preventing RSI. 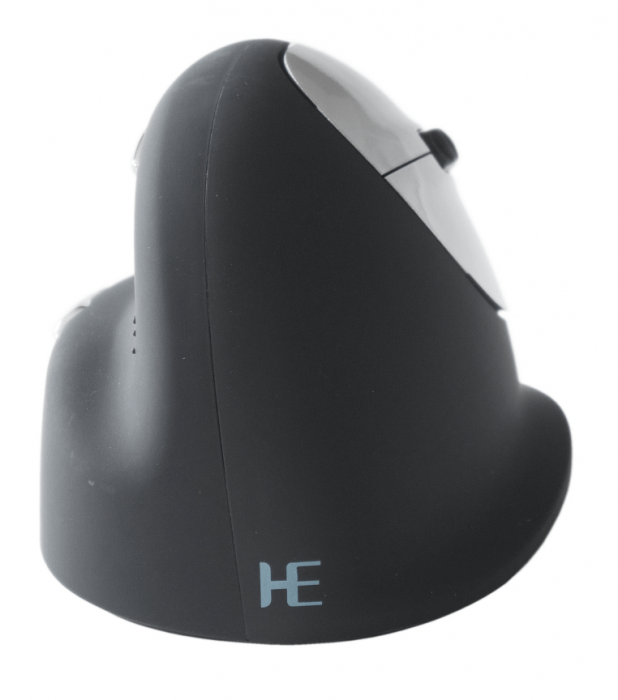 This mouse fits very comfortably in your hand, and supports your wrist and fingers.